RockWood Lodge on beautiful Cygnet Lake. Cygnet Lake is 7 1/2 miles long and 3 miles at the widest point. Spotted with 12 islands, it is ideal for fishing on windy days. The river system flows from the south into the Winnipeg River at the north. 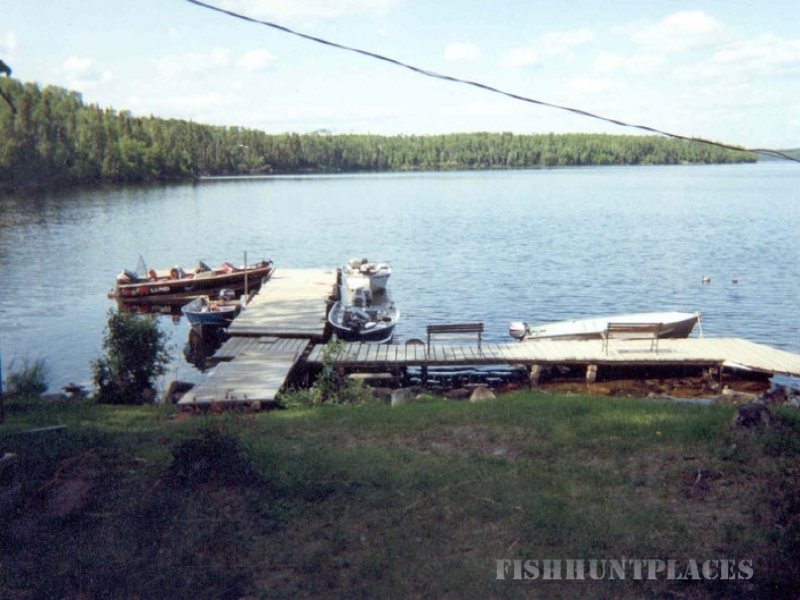 With shallow weedy bays, rocky reefs and many feeder streams, the ardent angler will find this wilderness area an ideal place to test their skill for large Northern, Walleye, small mouth Bass, and Perch. All within a few minutes boat ride from the lodge. 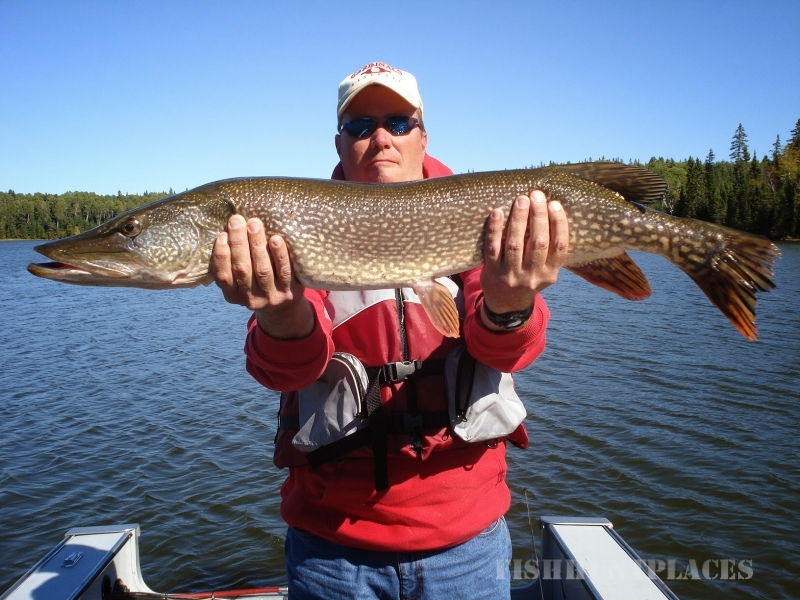 We encourage fishermen to participate in the catch and release of our trophy fish.